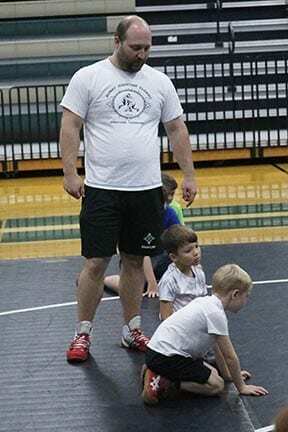 The Dragons of Pickens County High School held their annual youth wrestling cam on Thursday and Friday in the old gym at the school. 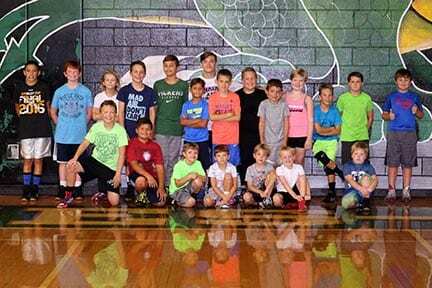 With right at 21 young athletes aspiring to become a part of the Dragon youth program, Coach Tippens and his staff welcomed several current and former student athletes to assist in teaching various skills and techniques to the campers. Leading the camp in the instruction was former Dragon Koby Milner. Entering his Sophomore year at Reinhardt University, Milner was excited to be able to pass down a few of the skills and techniques that he has performed very well through his high school career and first year of college. Koby Milner is a very decorated wrestler with three State Championships, chose to be a member of the Dapper Dan Team and in his freshman year at Reinhardt he brought home a Appalachian Athletic Conference Championship. Even though several of the camp attendees had never experienced the mats before this camp, every one showed focus and dedication to learn what was being taught. By the end of the final day of the camp, each and every one were putting the techniques together to show they had grasp the ideas and methods of competitive wrestling. Coach Tippens and the program should be excited for the future of Dragon wrestling as these young athletes continue to learn and get better.